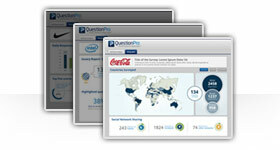 QuestionPro Contains Analysis Software for Assisting in Data Interpretation. Sign Up Today for a Free Account! What is survey analysis software? After you create a survey, distribute it and have your results gathered, what do you do with the information you've collected? You can certainly gain information based on your tallied survey results, but what about the open ended questions with text? Analysis. Before you can come to any conclusions, some form of basic analysis is required. You have several forms of analysis for basic frequency, cross tabulation (banner tables), grouping and segmentation, trend, TURF, and text analysis..
Survey Creation. With QuestionPro, you can easily create and distribute surveys, then use the built in analysis tools to study your data. Say you administered a survey and asked "How often do you shop at the grocery store? Often, Sometimes, Never". A frequency analysis would gather the responses from all of the participants, tally them up and display them in some visual form, such as a bar graph. Trend analysis allows you to see the frequency of responses that occurred over the course of a specified time period. Studying the frequency at certain points in time could lead to some beneficial conclusions. TURF is an acronym for Total Unduplicated Reach and Frequency. This pulls out any duplicates in multiple choice questions where a user might have selected more than one answer. 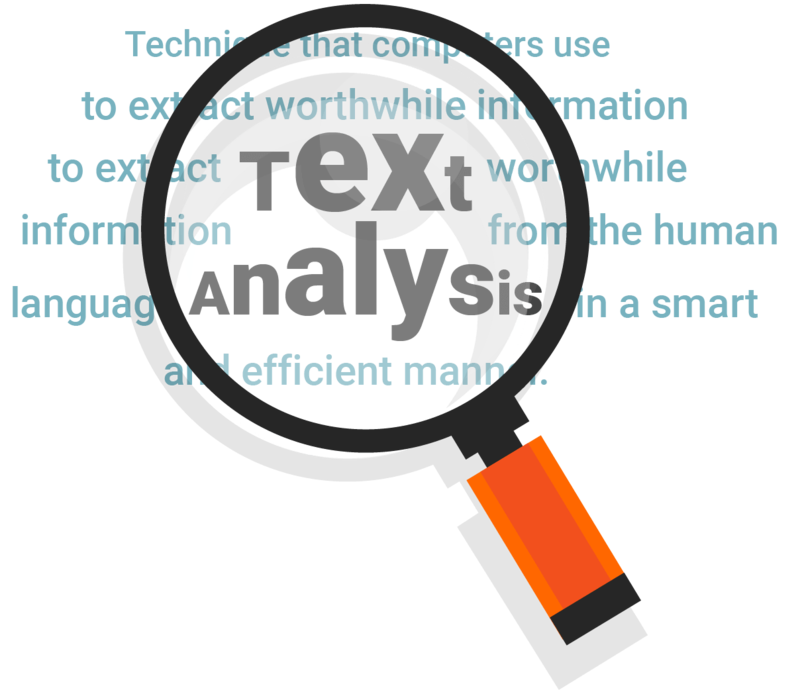 Software analyzes the frequency of text occurrences, creates a visual layout of each word and changes the font size in accordingly; the larger the number of occurrences, the larger the font of the word. Step 3: Once here, you can choose a survey template, upload an existing questionnaire or start from a blank template. How easy is it to sign up for an account? Can you create one in just seconds or log in using your Google, LinkedIn or Facebook accounts? Once you're logged in, what sort of options do you have for survey creation? 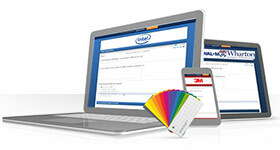 Are you able to pick from a large selection of survey templates? Are you able to upload an existing questionnaire you may already have? If you choose to start from a blank template, how many options do you have available? You can do everything mentioned with QuestionPro. What sort of distribution options do you have? Are you able to purchase targeted respondents based on certain demographics such as ethnicity, location, age range and gender? Can you create and manage an email list with all of your respondents? 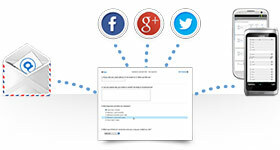 Maybe you'd like to send your survey across your social media network. Are you able to do that in just a few clicks? QuestionPro can do everything above and more! Once your survey is distributed and gone live, how are the results reporting? Can you create custom reports where you can change the title, show charts, modify the theme? Does the provider in question offer any sort of results overview, showing you the number of people that have viewed your survey, started it, completed it and the average time it took them? 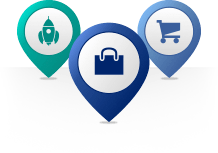 When you choose QuestionPro, you have all of these features and more! 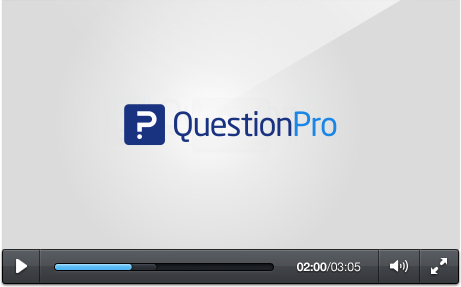 Your first step is to make a QuestionPro account. It's easy and only takes a couple of seconds. As soon as you have access, you can start making surveys. You have the option of choosing a template from the QuestionPro template library, in addition to uploading an existing questionnaire. If you want to start from a blank template, you can choose a variety of options, including picking various question types, including those that include a matrix style table or graphical sliders. If you want to change the color of the survey, you can choose between a pre-made theme or modifying the CSS of your survey. With your survey now complete, it's time to send it out. You have many choices at your disposal, including the purchase of targeted respondents, with specific demographics like age range, gender ethnicity and location. If you already have some email addresses, you can create an email list for easy mass-delivery. 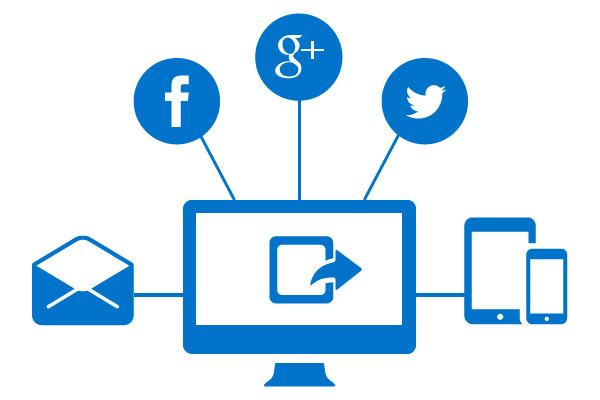 If you just want to send it to your Facebook, LinkedIn or Twitter connections, you can do so easily with just a couple of clicks. If you need your survey on your website or blog, QuestionPro provides you with a block of HTML to easily embed it. As you're gathering feedback, you can see, in real-time, how many people have viewed, started and completed your survey, in addition to the average time it took to complete. 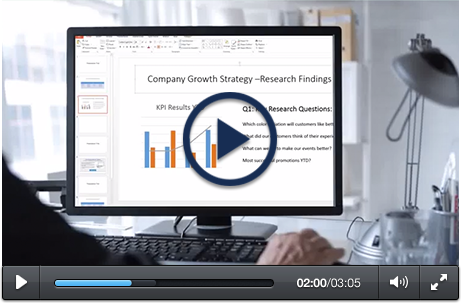 You can create custom reports and view all sorts of analysis. You can easily create an infographic, view participant statistics and even generate a word cloud for text analysis. For more advanced forms of examination, you can perform a trend analysis, cross tabulation and filter out certain data points. 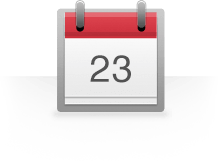 With only a couple of clicks you can send out any report via email or your social media network.